The recipe is great for breakfast as well as snacks. It's called aval vilayichath. 'Aval' means 'flattened rice'. 'Vilayichath' means 'roasted'. The dish is very sweet and crunchy. 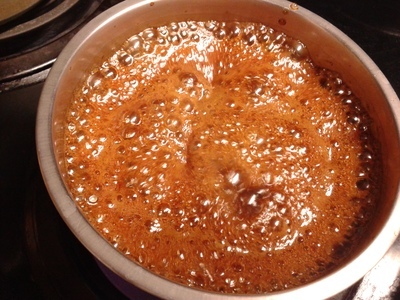 Mix jaggery and water in a bowl and heat in a medium flame. Boil to form almost a thick syrup. Switch off the flame. Heat a pan. 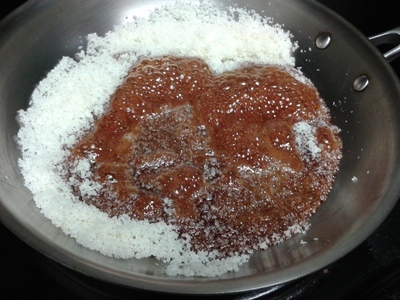 Add ghee into the pan. 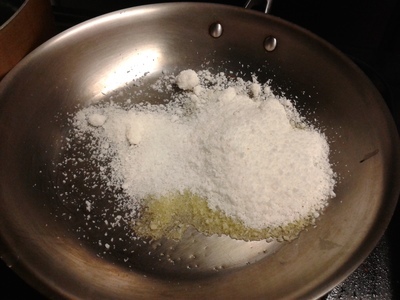 When the ghee is hot, add coconut powder into the ghee and stir well. 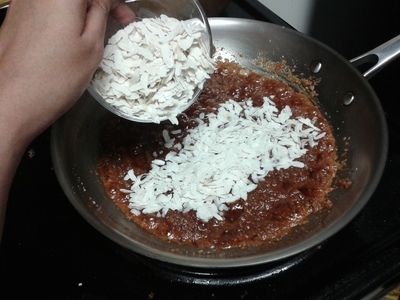 Then add the jaggery syrup into the coconut- ghee mixture. Mix well to combine. 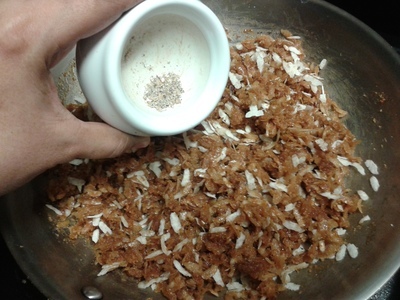 Then add the flat rice flakes into the pan and mix well. Stir until the rice flakes absorb all the syrup. 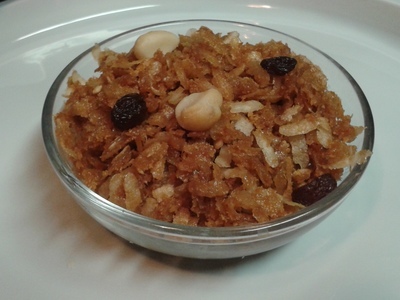 Garnish with raisins and nuts. We can add sliced banana to make it more delicious.